Northern Virginia Jeepers Association | Forum | Open Discussion (Club Members and Non-Members) | Introductions | New jeeper from Sterling. Hello jeepers, my name is Will, and I am new to the party. I grew up mudding in South Alabama and always wanted a Wrangler, now after years of moving and soldiering, and finally settling down in Nova I got one. It's a 2018 with a 2" Mopar lift sitting on 33" tires with Mopar rock rails. A lot left to do but I have no idea what to do when and thus I arrived here. I asked people I knew with Jeep's what should I do first and every one's response was find a club... Mission accomplished, now hopefully I can pick every one's brain and enjoy some good times on the trail with everyone. I also have a Renegade trailhawk that's my daily driver, the only trail I have done is the only one I know about and that's Peter's mill run. Again thanks for having me and I look forward to having some of this Jeep knowledge dropped on me. Re: New jeeper from Sterling. Welcome! We'll have some rides popping up here soon as the weather gets better so keep an eye out. Welcome to the club and the area! people just dont get it !! Thanks every one's. Any advice on how to avoid Chinese knock off low quality junk on amazon? I would love to get started make my jeep "MY" but I'm not sure the order of priorities. I'ld like for it to be VERY trail worthy but I don't need to do anything super crazy. It's not a dd but it is also going to be our camping vehicle if that helps. Re: Re: New jeeper from Sterling. If you're happy with your lift, look into skid plates and bumpers. Will do, I'll start poking around this weekend, thanks. I was eyeballing a stubby fishbone on quadrateck earlier. Re: Re: Re: New jeeper from Sterling. Ask around on stuff when you find things you like too (like the fishbone which I don't know anything about). So many people have tried things and upgraded or changed, learn from them and save money. There's no rush either. Use what you have and see how it goes. My general rule is not to buy something until I break it or it's holding me back. Welcome from just nw or you in Ashburn. If you see the white and black scrambler, give a wave. And agree on what James said. Be patient. Find out what others have tried and are happy with. People upgrade, so try out what others are selling. A lower price makes it more appealing to try something you may or may not be happy with. Oh and make sure you come to the Show and Shine in May to check out what folks have done. And look for rides, like our annual Camp Heep which is 7/28 at Rausch Creek in Pine Grove PA. Well worth the drive. Have I pushed the major events well enough? 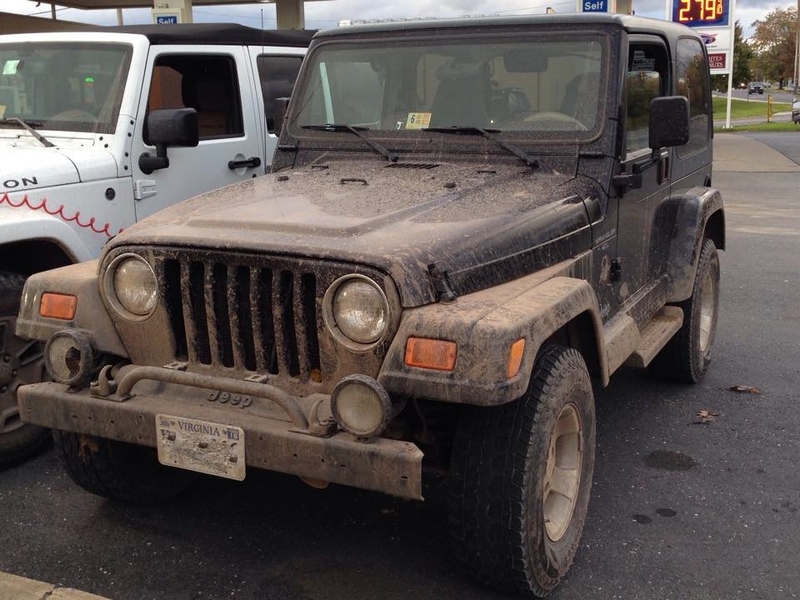 So for those familiar with Sterling, whats the closest place to get a Jeep muddy? The side of the road on 606 looks awesome as a close play ground but I don't thing the folks building the road would like it lol. Every time I drive through there I'm like just leave the road as it is and it will be good. Legally, Rausch Creek in Pine Grove PA, Gore VA, The George Washington National Forest around Harrisonburg. Nothing super close, unfortunately. Check out the forum for folks planning rides. That will give you an idea.